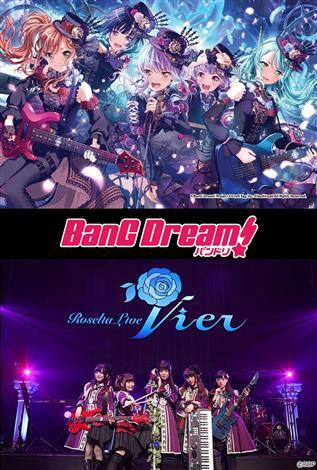 “BanG Dream!” is a next generation girls band project, a mixed media franchise consisting of elements such as animation, comics, original songs and live performances. Furthermore, “BanG Dream! Girls Band Party!”, a mega-hit smartphone game that had its English version launched back in April last year, is centered around the world of “BanG Dream!” characters. One of the bands that appear in this game, "Roselia", had their voice talents perform live at the concert "Vier" at Stellar Ball in Shinagawa, Tokyo on November 7, 2018. This was a performance following their first Fan Meeting in September, in which their keyboardist Satomi Akesaka as Rinko Shirokane graduated from the band. With their strong will to continue performing even with just the four of them, the remaining members aimed to turn "Vier" into an event not to be missed.